Head & Shoulders Confirm and W Bottom! Hello BullDragon is Back to the game! i can say its about 85% Head and Shoulders is Forming Right now. if we keep geting denied in the the resistance we might retest the $ 3650-3690 ( BINANCE ) And a Large W Bottom will play out for sure! a Target of 4.2k or a 4.5k! Goodluck in trading! i Draw a Multiple Double Bottom Scenario Base on our Current Situation on Bitcoin. There will be a Multiple Bull Run Scenario Most of Them are Bull Trap and the Final Epic Bull Run will Take more years from now. Goodluck! UnRealistic but a Realistic Bitcoin Future! Bear Fractals. Same Pattern in bearish market! as you can see in the chart. the pattern is repeating and its going to 3.2k. this kind of fractals is a high sign. 80% of chance this might happen. 100x Short? no! trade with a confidence! goodluck! Bull Dragon all the way! Bull Dragon Scenario Up or Down? Fractal Fail? Real Bottom the BULL Dragon in long term. 5 minute/1hr Chart Scenario, Opportunity to make $$$! Okay we are forming another Double Bottom, we are going to the end of the DESC Triangle pattern. we are about to see if its going to 3500 level again or we will continue to break the resistance up to 4k level goodluck trading! Bitcoin Future! - Bull Dragon or Bear Dragon?? Happy New Year. IHS will be Complete tonight! - BULL DRAGON!! IHS will be completed tonight! W bottom then continues bart and W bottom until the target target 4.2k Bull Dragon! IHS Right Shoulder Triangle Pattern! 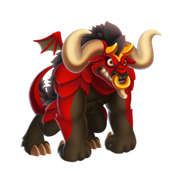 - BULL DRAGON! !